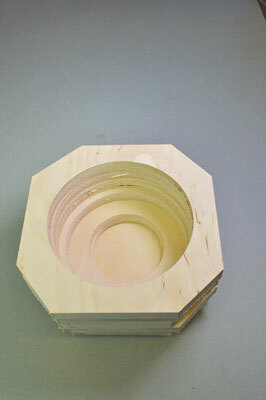 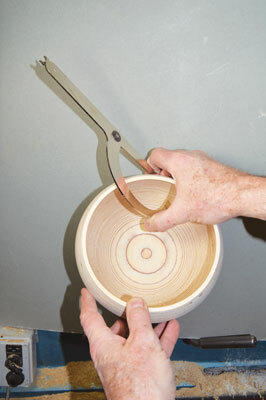 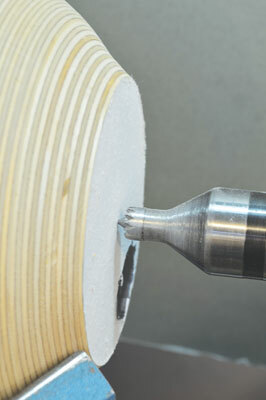 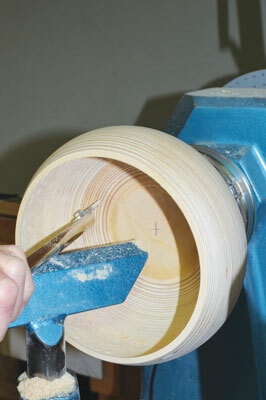 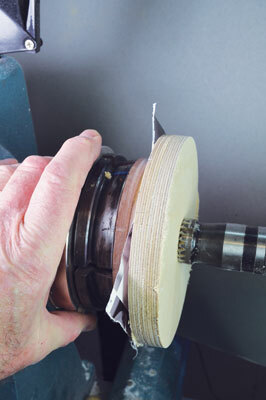 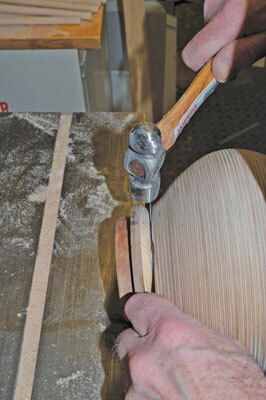 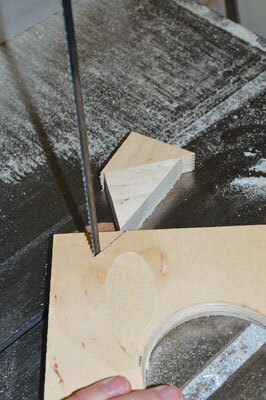 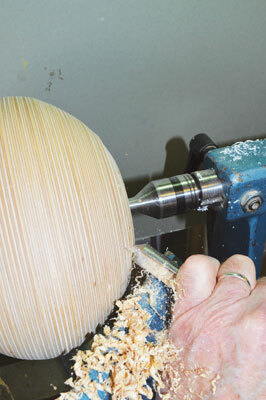 Plywood is an excellent medium for constructing bowls. 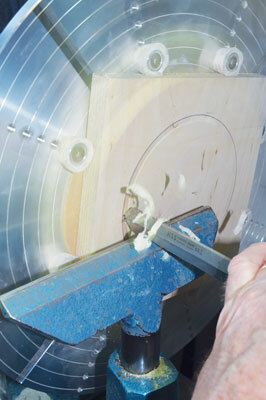 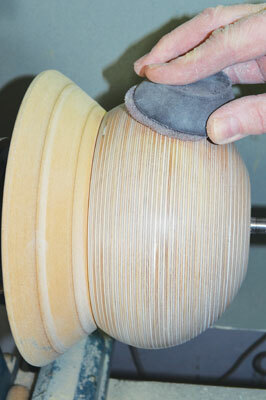 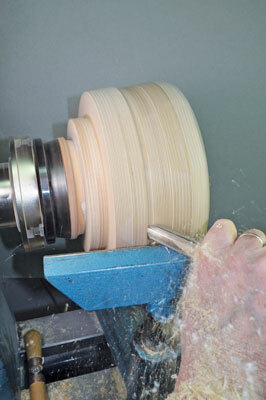 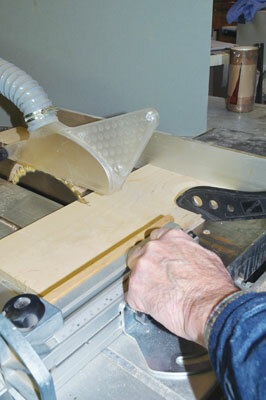 When finished it can look very attractive, as long as a few golden rules are applied to construction and turning. 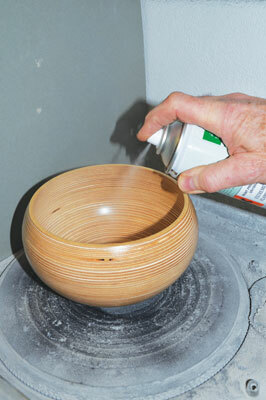 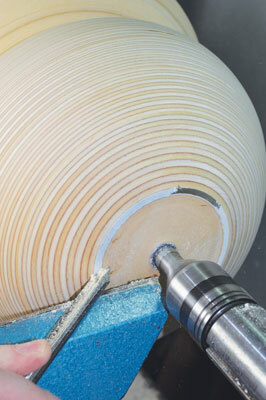 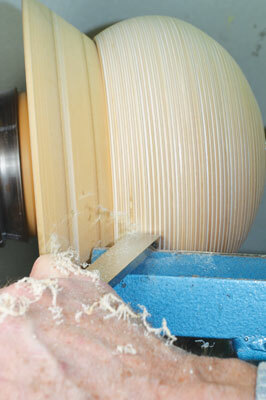 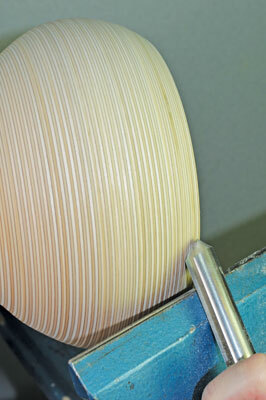 The layered laminar construction of plywood can become a beautiful feature of the bowl. 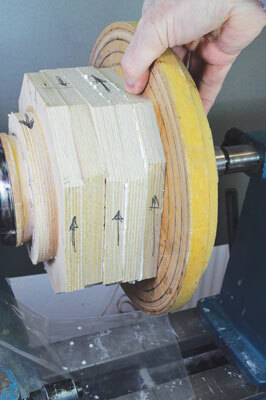 There are many different grades of plywood from cheap and knotty construction quality, all the way through to expensive and dense marine ply. 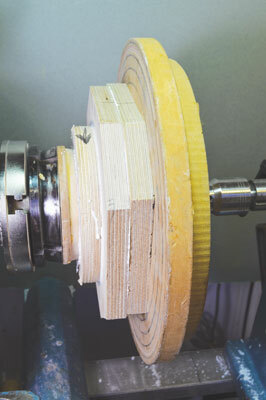 The sort of plywood sold at DIY supermarkets is slightly better than the worst construction quality, but still not ideally suited for bowl construction. 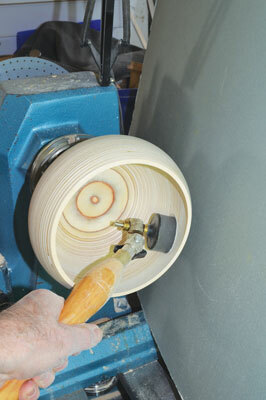 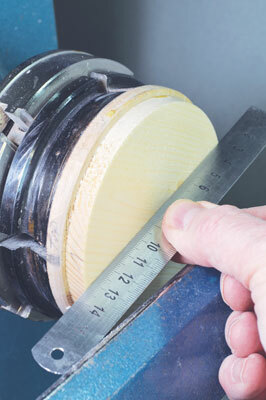 The ideal plywood for bowl turning is a birch (Betula pendula) plywood, grade A or B. Grade A is knot free and the finest quality; Grade B has a few knots and slight imperfections – the knots may have been plugged – but it is still good quality board. 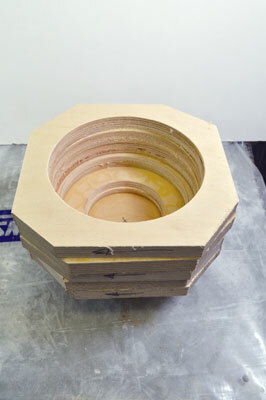 It’s usually available in 2,440 x 1,220mm sheets, sometimes cut into 1,220 x 1,220mm or 1,220 x 610mm. 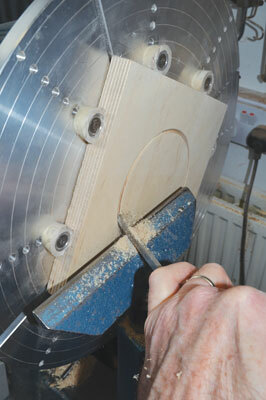 These types of plywood are usually only available from timber suppliers.